"I love this Flash Banner Maker. It helped me create fantasitc flash intros for my website, even if I've no idea about any flash making and flash embedding code." 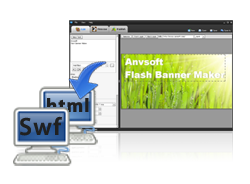 * If you are Windows user, please refer to Flash Banner Maker for Windows. - Add any picture from your Mac to be the image background for your flash intro. - Use 150+ different colors as the solid-color background for your flash intro banners. 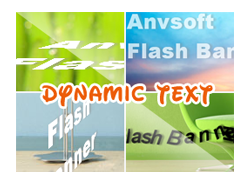 - Add dynamic text, which makes flash banners animated and speak out itself. 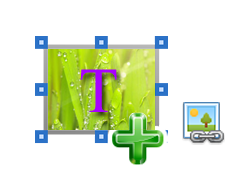 - Edit the text color, the color of the text shadow, distance, angle, alpha, blur, strength, etc. - Add URL links for dynamic texts, which bring readers from the flash banner to target websites. - 200+ types of text style are provided, which enable to add message in whatever style fit for your words. Banners here, there, and everywhere! - Embed flash intros to other websites and blogs. - Upload to SWF compatible sites. - Save on your computer drive. - Share with others by email. - User-friendly interface; simple and clear step-to-step toolbar; you can create flash banner in animations like a Pro even without any technical knowledge. 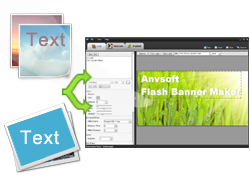 When the flash banner making is finished, choose to "Creat flash and Html file".